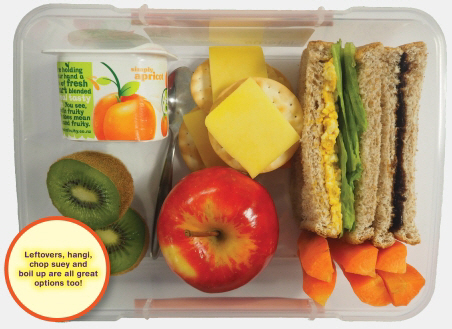 A healthy, balanced lunch gives children everything they need to play and learn well. Involve your child in choosing and making lunches. This will make them more likely to eat and enjoy their lunch. Tips for making healthy lunches. Low-cost, easy and interesting lunch box ideas for 2 to 6 year olds. Tips for choosing from your child's school lunch order system. Tasty lunch box ideas and recipes.